The city of Dubai in United Arab Emirates (UAE) features some of the top ranked restaurants, iconic sights, vibrant nightlife and numerous adventure activities for adults and kids. You can stay in true ‘Arabian style’ area around the Burj Khalifa, take a stroll around the lake and try delicious local food at the Al Manzil Courtyard restaurant or just unwind your senses on the glittering beaches. Alternatively, you can also make a moonlight visit to historic Bastakiya’s wind-towers (the last in the Arab Gulf), listen to the call to prayer or even dream of an Arabian Night. 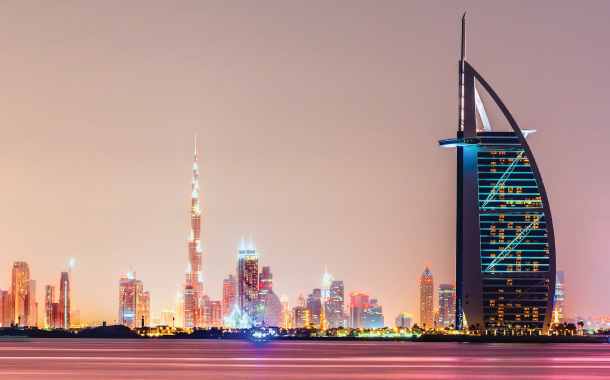 The city of Dubai in United Arab Emirates (UAE) features some of the top ranked restaurants, iconic sights, vibrant nightlife and numerous adventure activities for adults and kids. You can stay in true ‘Arabian style’ area around the Burj Khalifa, take a stroll around the lake and try delicious local food at the Al Manzil Courtyard restaurant or just unwind your senses on the glittering beaches. Alternatively, you can also make a moonlight visit to historic Bastakiya’s wind-towers (the last in the Arab Gulf), listen to the call to prayer or even dream of an Arabian Night. Before you plan a visit to Dubai, make sure to get your Dubai Visa on time. With modern world wonders and architecture, Dubai offers excellent range of man-made wonders. Below are the top attractions in Dubai. Famed as ‘The tallest building in the world’ at 2,722 feet long, Burj Khalifa is the most popular tourist attractions in Dubai. Apart from enjoying the stunning views of the city from the ‘World’s highest nightclub’, ‘World’s highest restaurant’ and ‘World’s second highest observation deck’ on the 124th floor, you can also enjoy the ride on the ‘World’s longest travel distance elevators’. The building was also featured in Hollywood movie ‘Mission: Impossible – Ghost Protocol’. The Burj Khalifa also houses beautifully designed gardens with winding walkways. Illuminated by over 6,600 lights and 50 coloured projectors, the Dubai Fountain is a must-see attraction in the Burj Khalifa lake area. Opening hours: Daily from 08:30am till 01:00am. Located in Al Fahidi Fort and built in 1787 to defend Dubai Creek, Dubai Museum is city’s premier museum featuring a diverse collection of exhibits providing insights into the cultural heritage and rich culture of the region. It also showcases antiquities from Asian and African countries which were traded with Dubai in olden times. Opening hours: Saturday to Thursday: 08:30 am till 08:30 pm, Friday: 02:30 pm till 08:30 pm. The old district of Al Fahidi District (Bastakiya) with its narrow lanes and tall wind towers provides a hint of old Dubai. Bastakia occupies the eastern portion of Bur Dubai along the creek, coral and limestone buildings here. Many with walls topped with wind-towers, have been excellently preserved. The biggest attraction of Bastakiya is the Dubai Museum housed in Al Fahidi Fort. Another attraction is the Dubai Wall. There’s very little left of the original wall but it was originally built to protect the city. While it’s not much to look at, the history and the stories attached to it inspires ones imagination.Opening hours: 10 am to 10 pm. There is no entry fee to visit this area. Also known as the Beverley Hills of the Middle East, Jumeirah Beach is one of the most popular public beaches in Dubai. It features stretch of clean sand, grassy areas and many palm trees with a number of local cafes. In fact, the 2009 FIFA Beach Soccer World Cup was held on the beaches in Jumeriah. One can also get a closer view of a number of luxury hotels – one of them being the iconic Burj Al Arab hotel. Opening hours: Round the clock. No entrance fee. Located inside the gigantic Dubai Mall, the Dubai Aquarium features one of the world’s largest tanks and one of the largest viewing panel.s With more than 33,000 living animals, it has a 270-degree acrylic walk-through tunnel providing a close-encounter experience with underwater animals. At the Underwater Zoo, you can walk through the artificial rocky shores, rainforest and living ocean environment for a lifetime experience. You can also opt for activities like glass bottom boat tours, cake snorkeling, shark diving and few others. Opening hours: Monday to Friday: 10 am till 10 pm. Saturday and Sunday: 10 am till midnight.